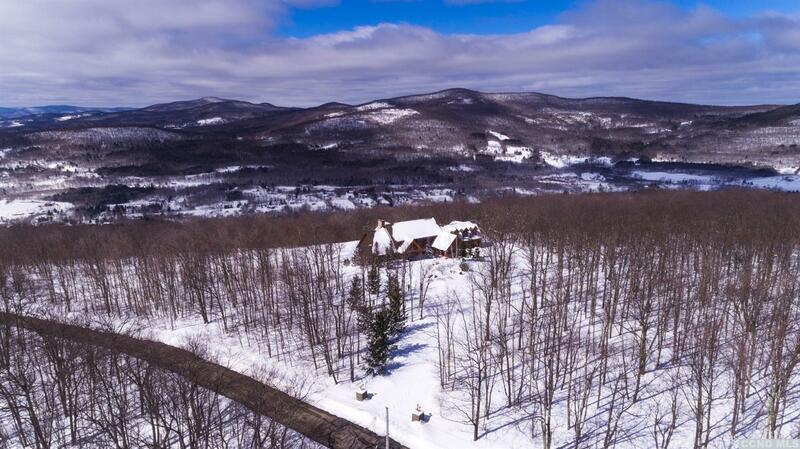 Escape the stresses of the hustle and bustle with quieter times in the country while surrounded by endless views and nature-OR- host lavish weekends filled skiing, golfing, mt biking, dinner parties, and so much more. 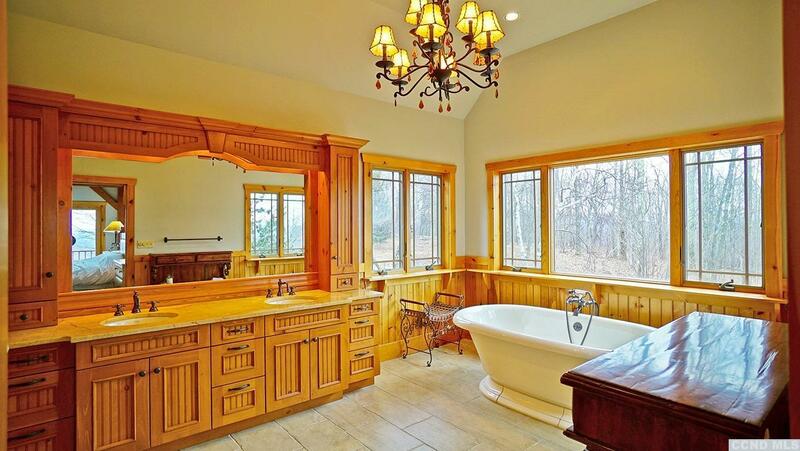 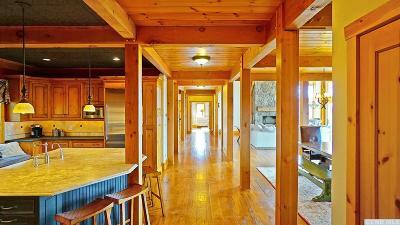 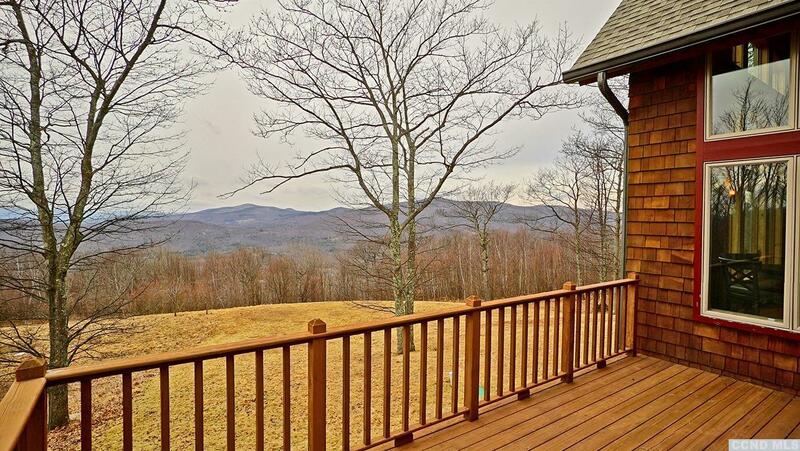 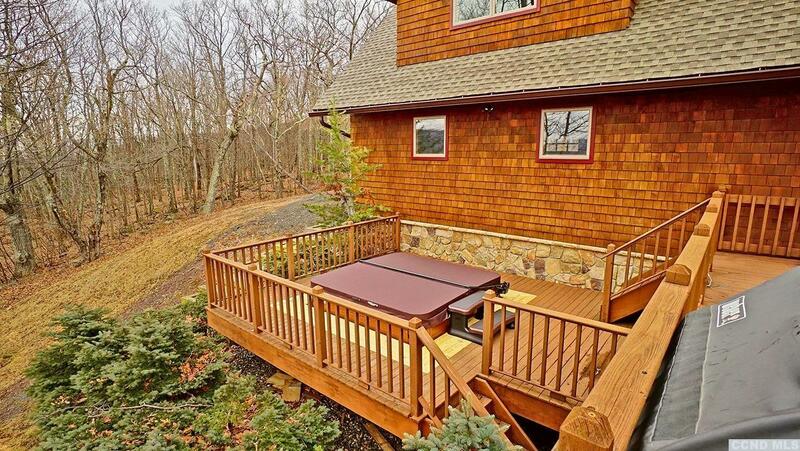 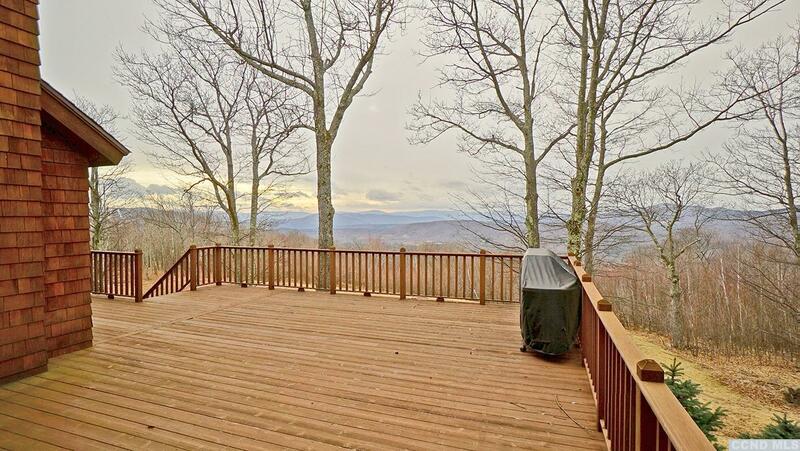 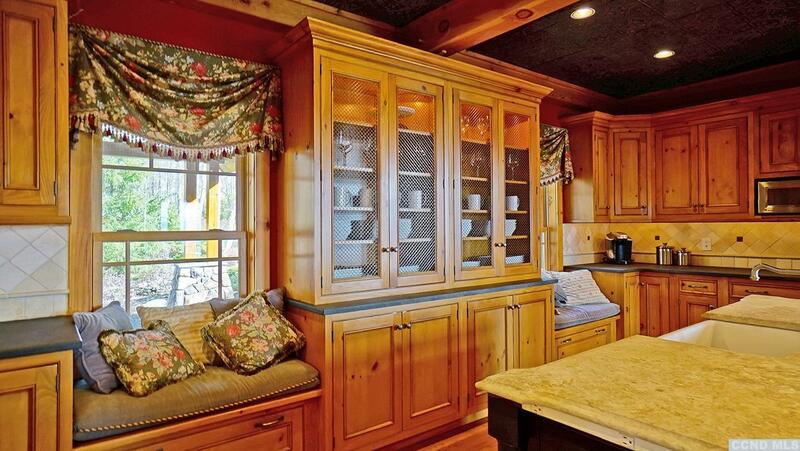 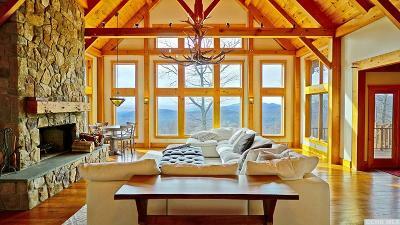 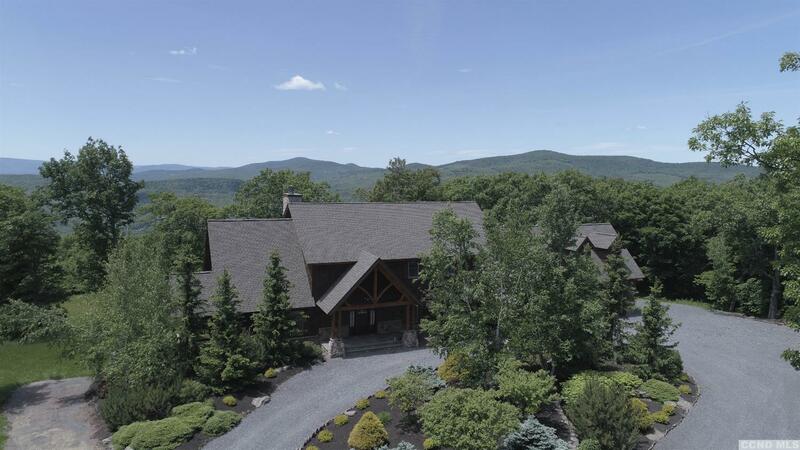 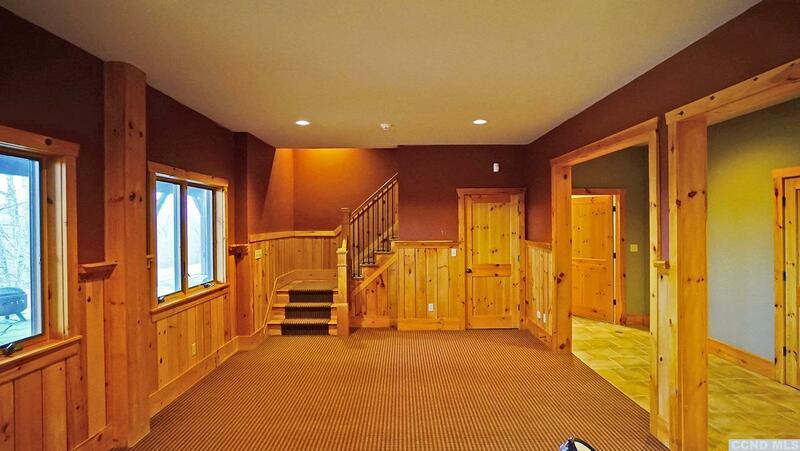 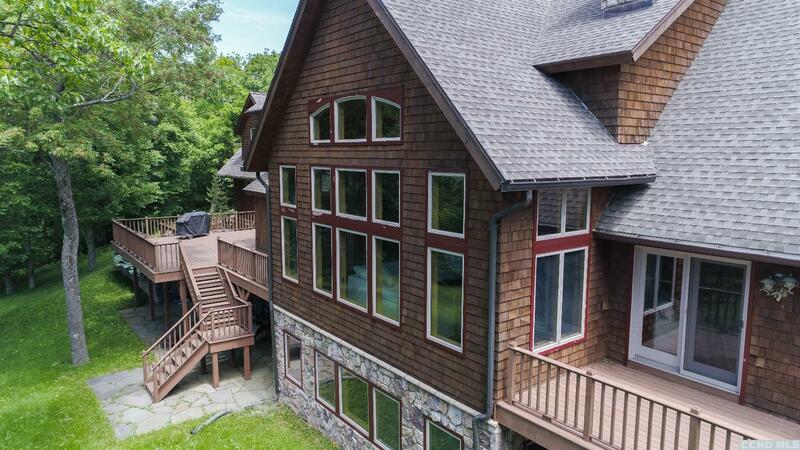 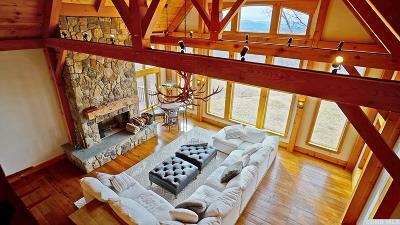 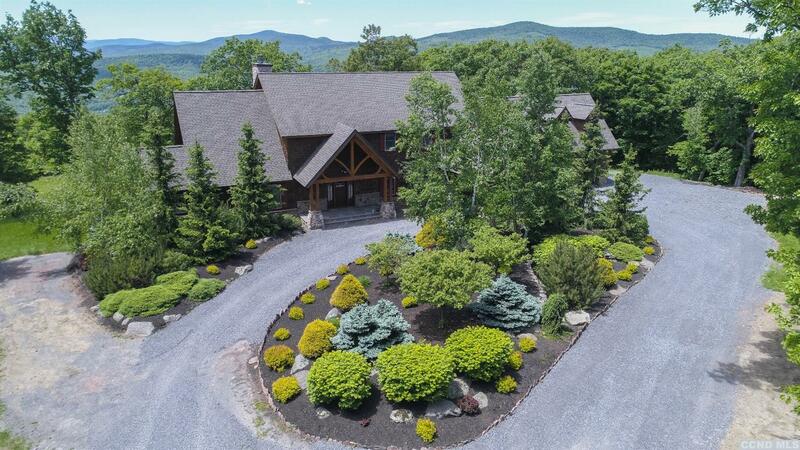 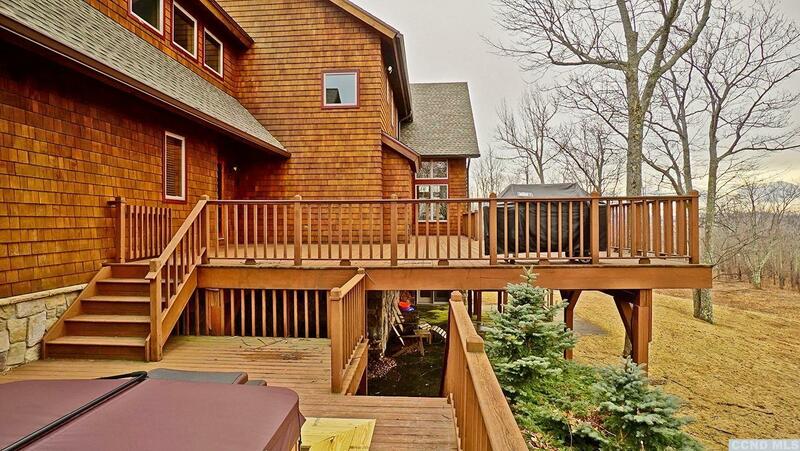 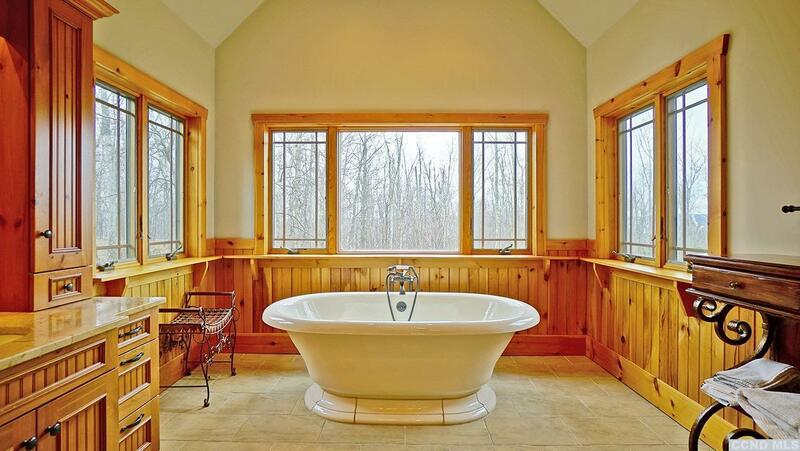 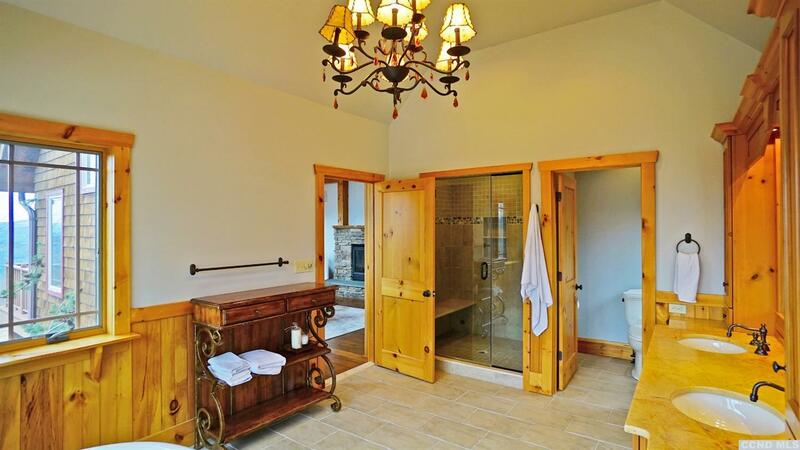 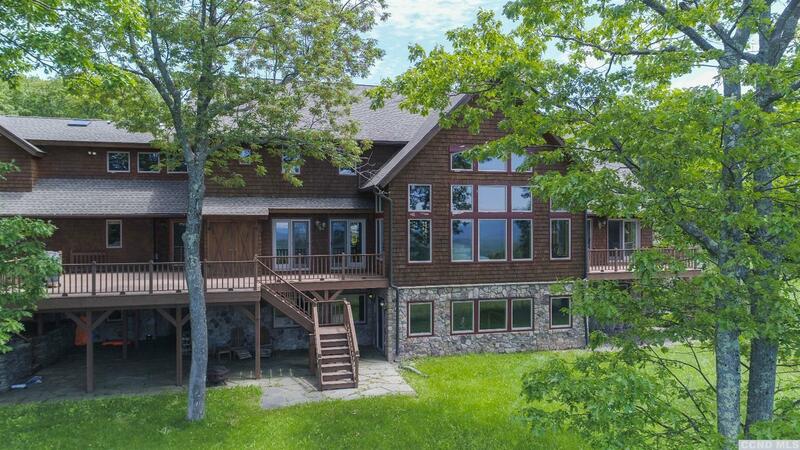 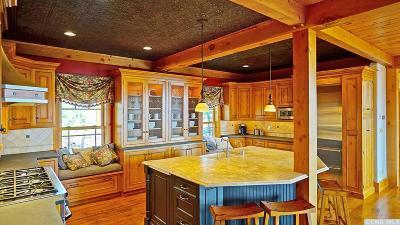 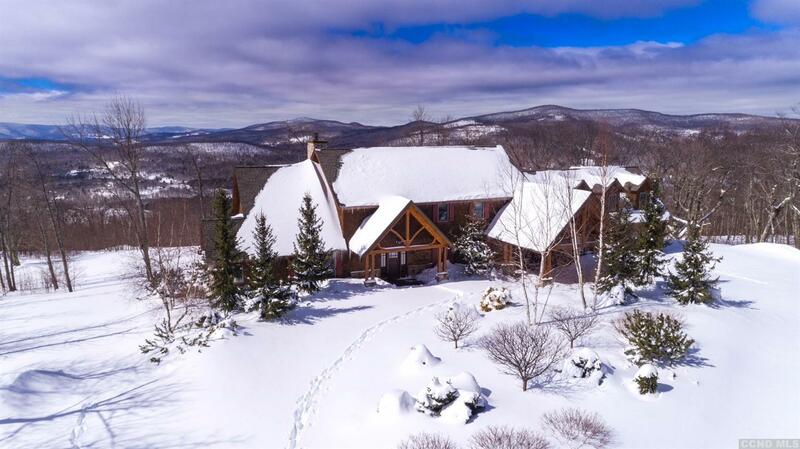 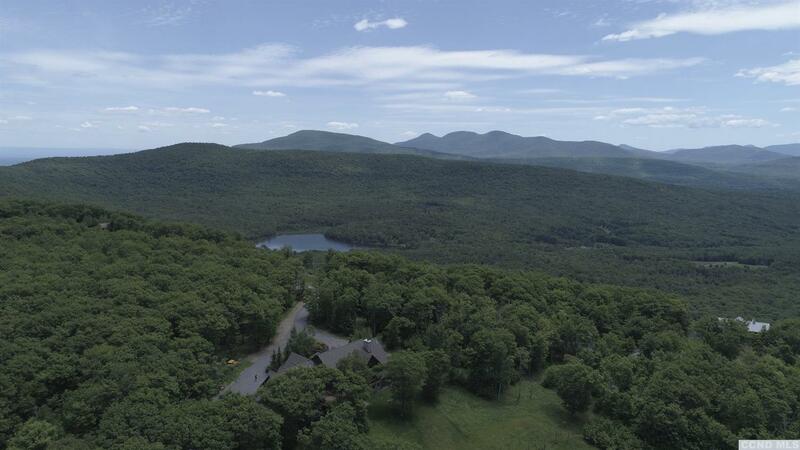 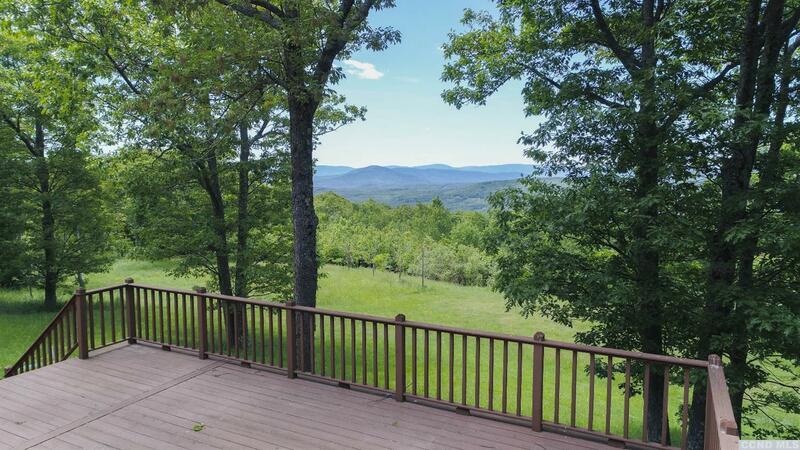 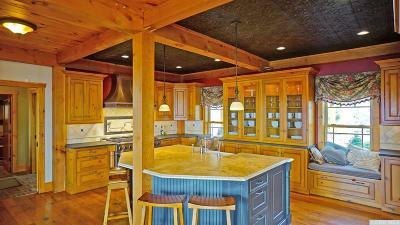 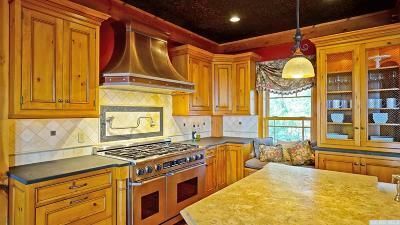 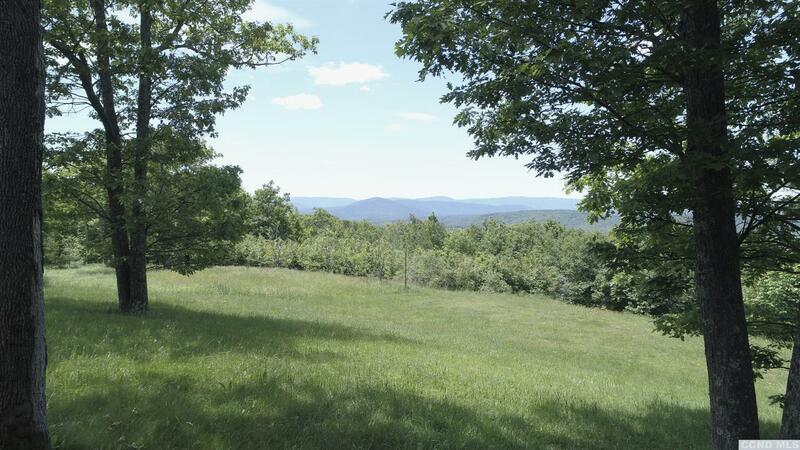 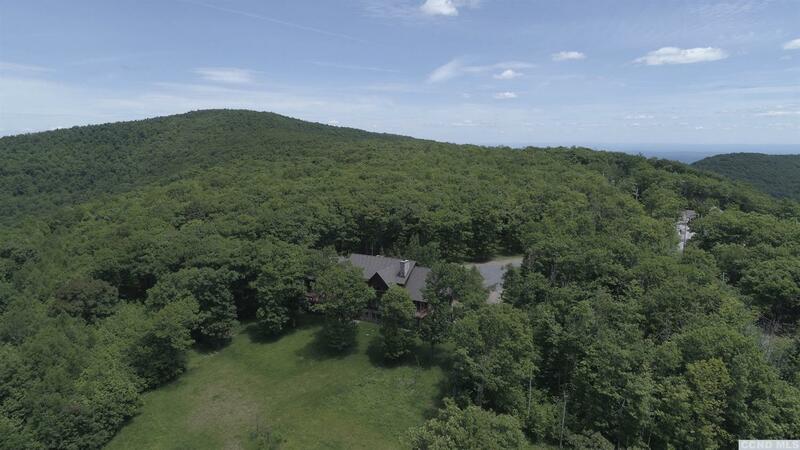 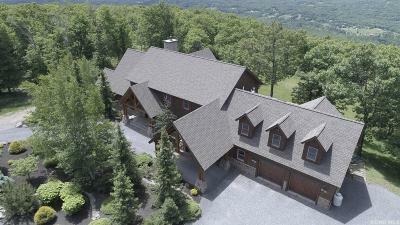 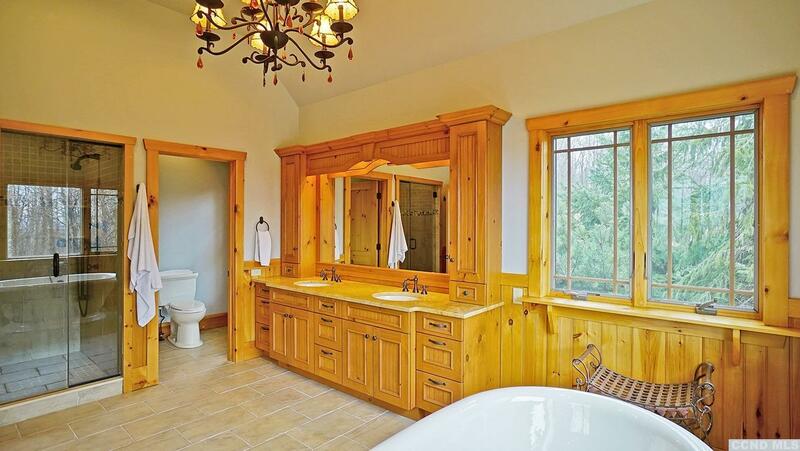 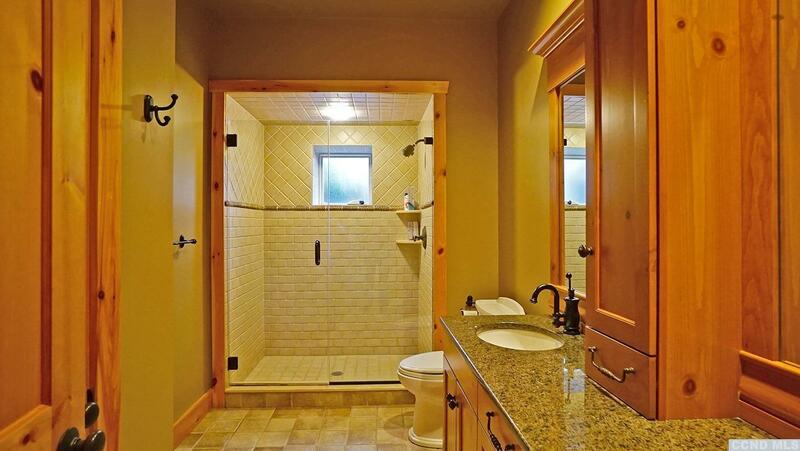 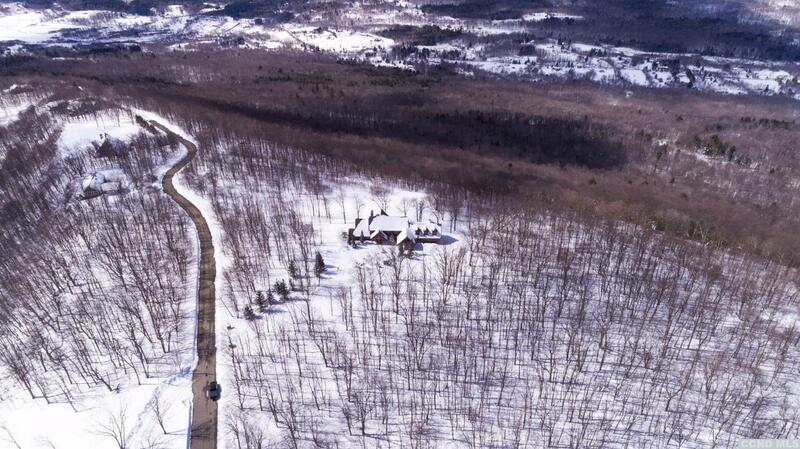 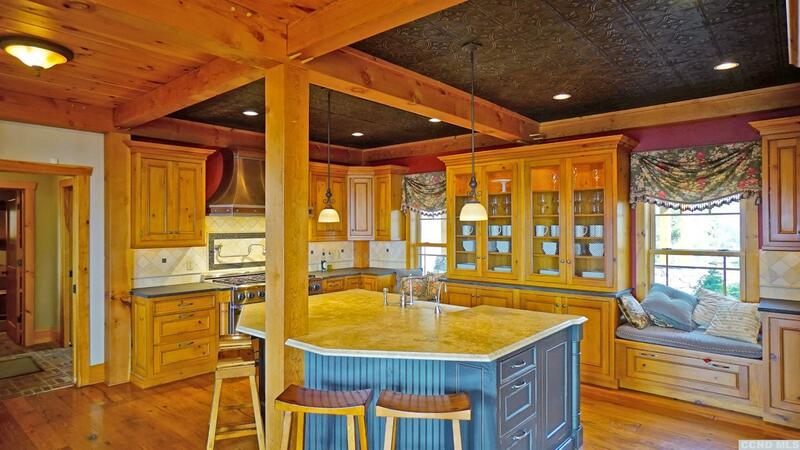 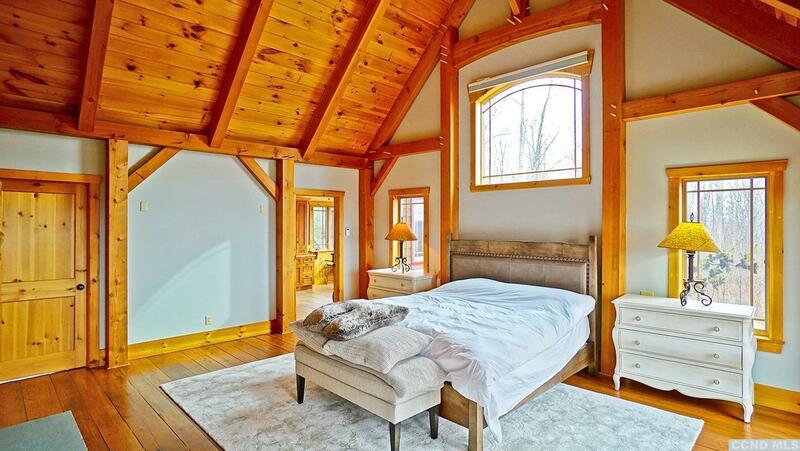 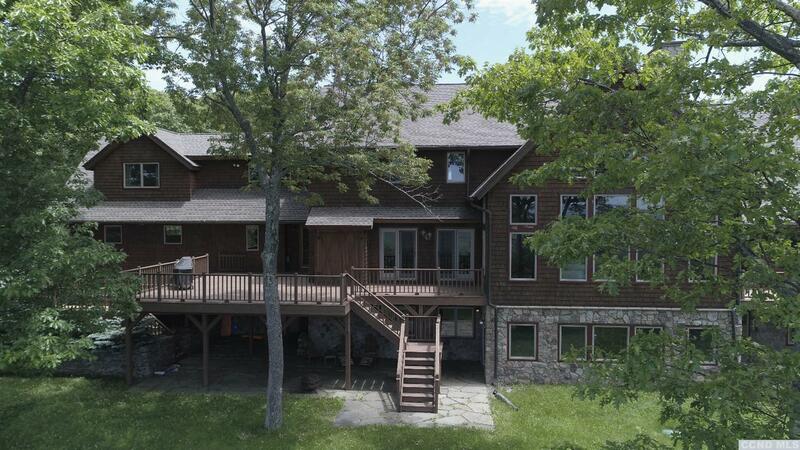 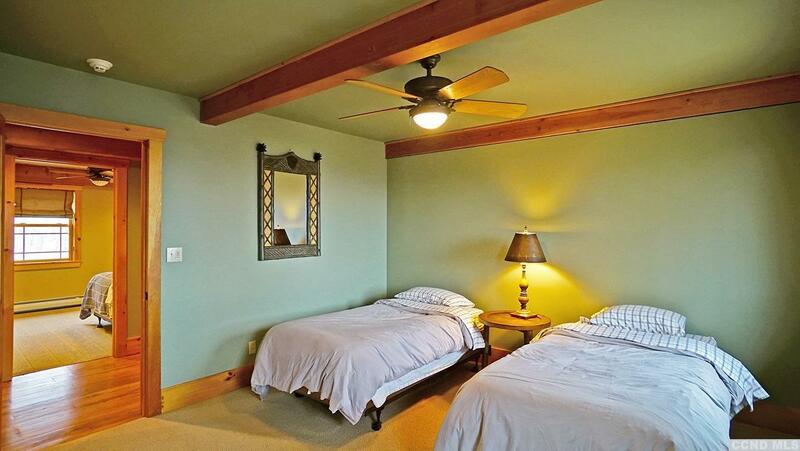 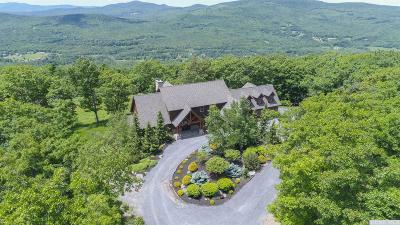 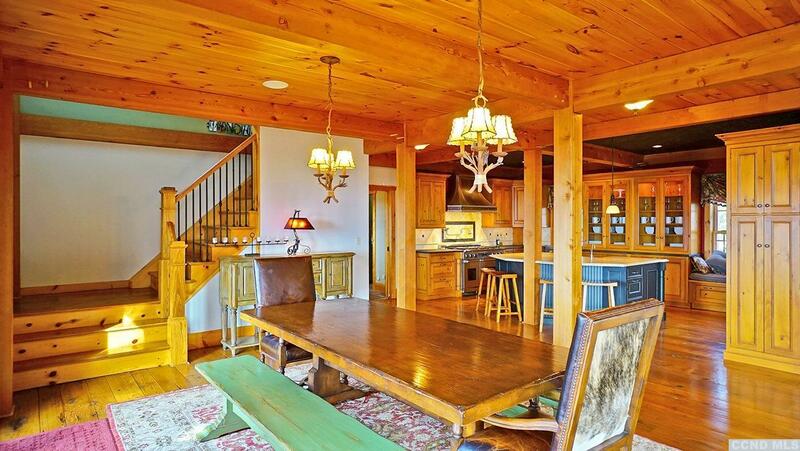 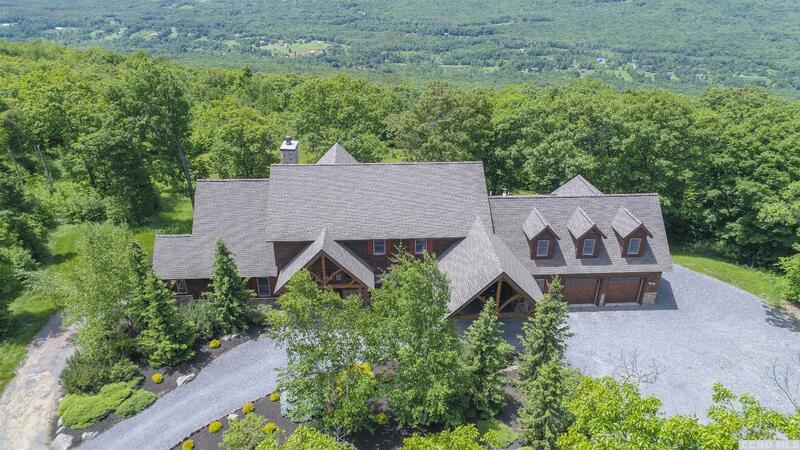 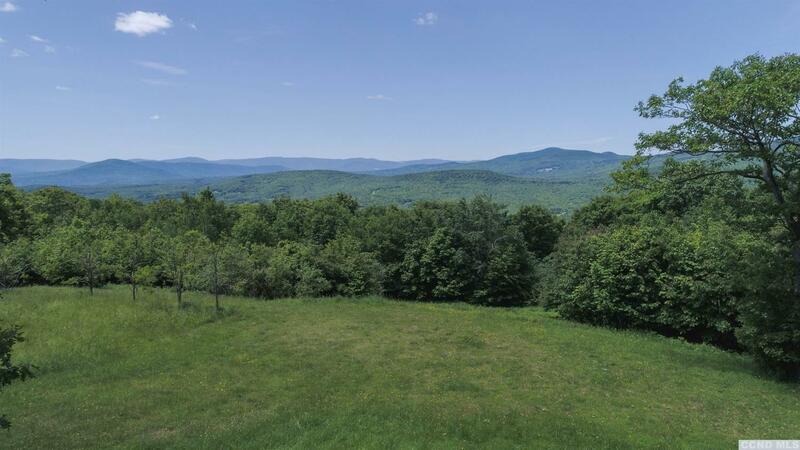 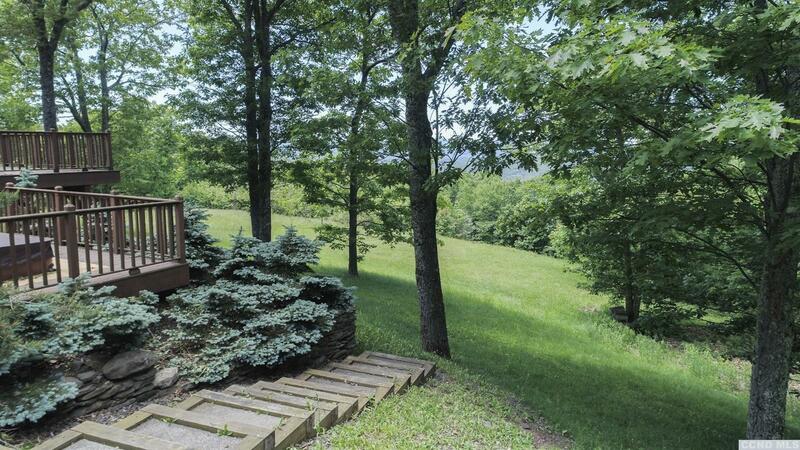 You'll find this exquisite retreat sited on over 16 private acres bordering Forever Wild Forest in Windham's most sought after gated community, Windmont. 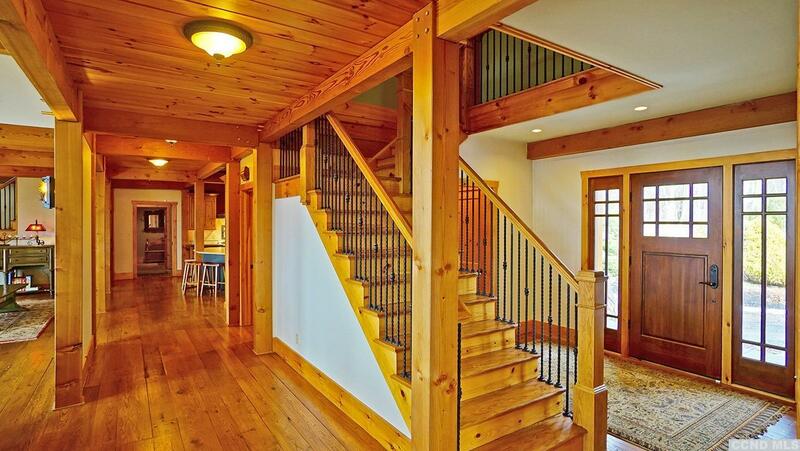 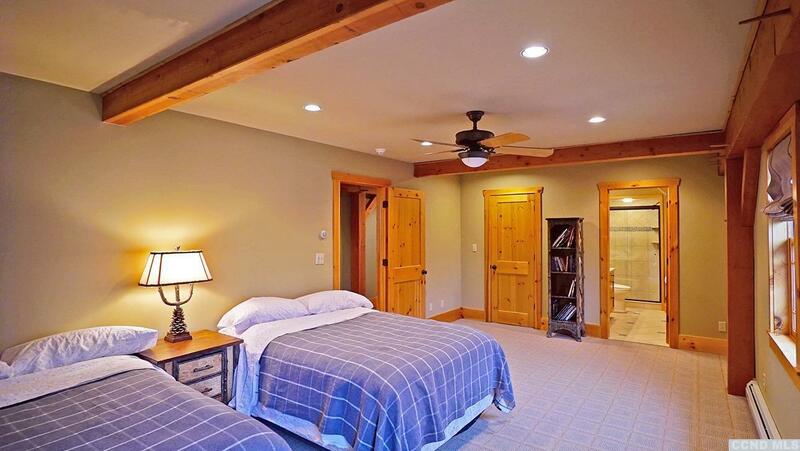 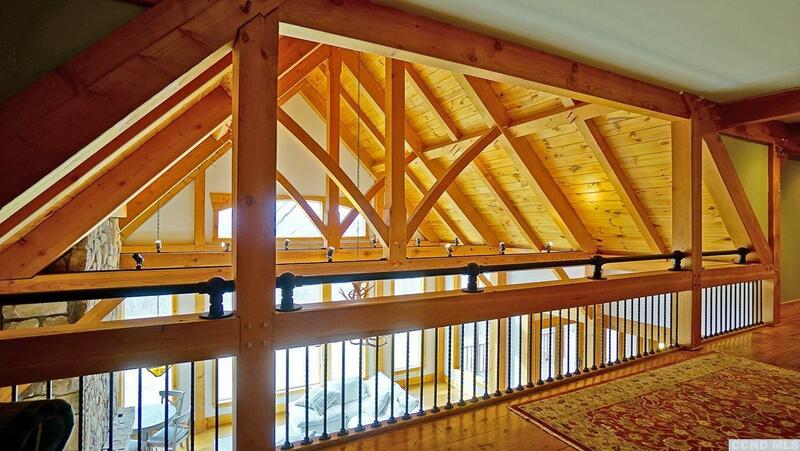 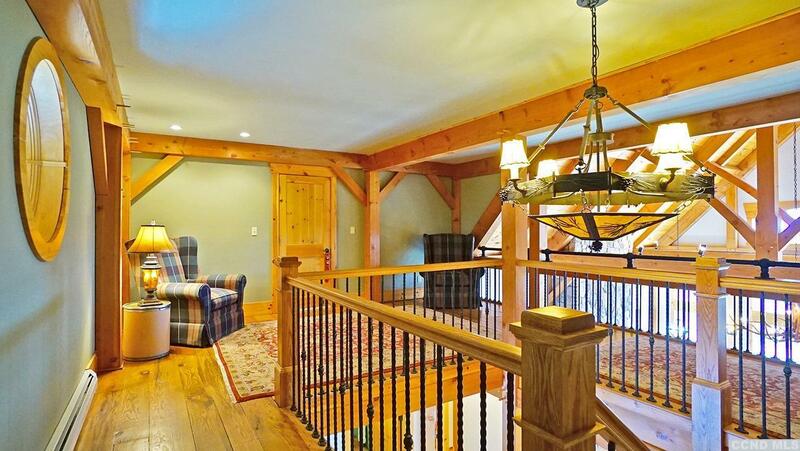 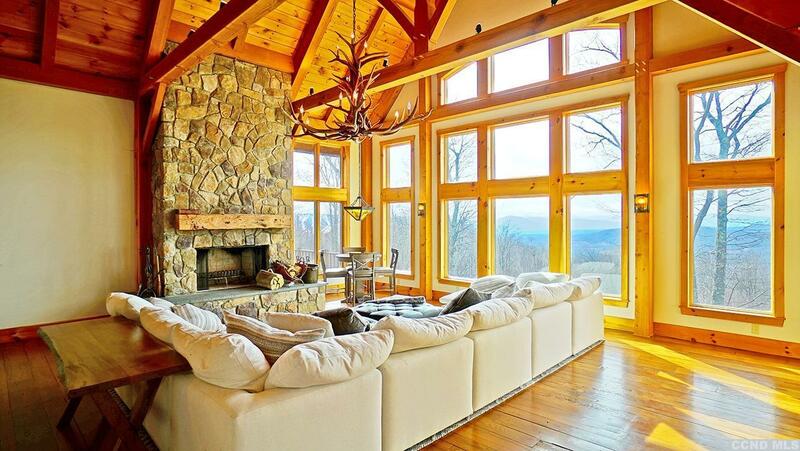 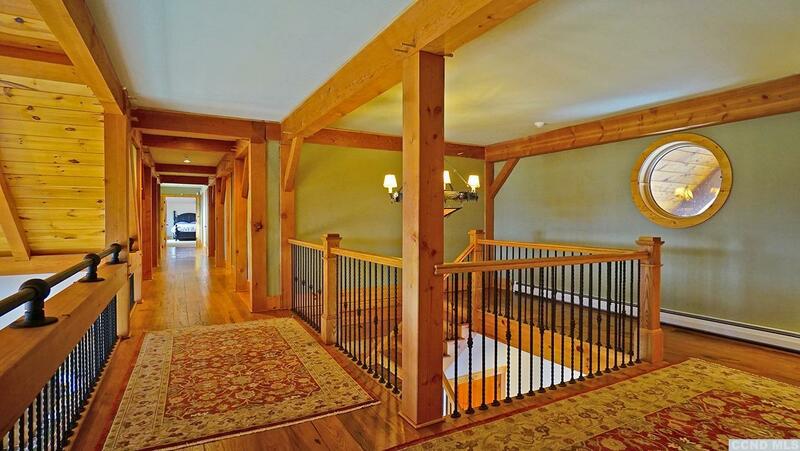 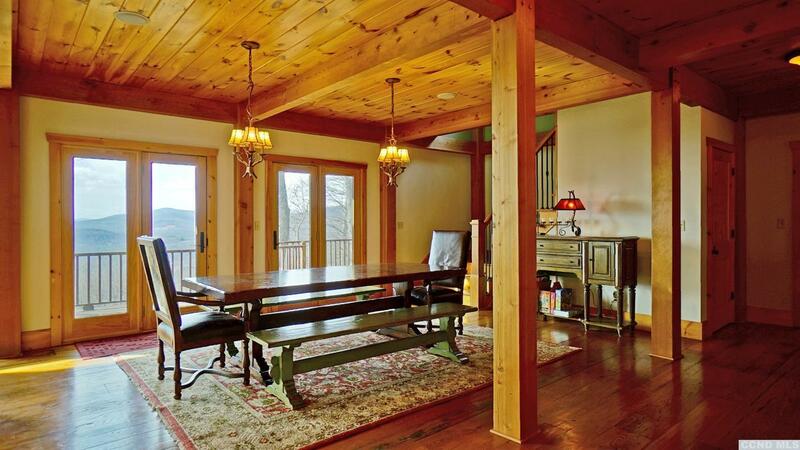 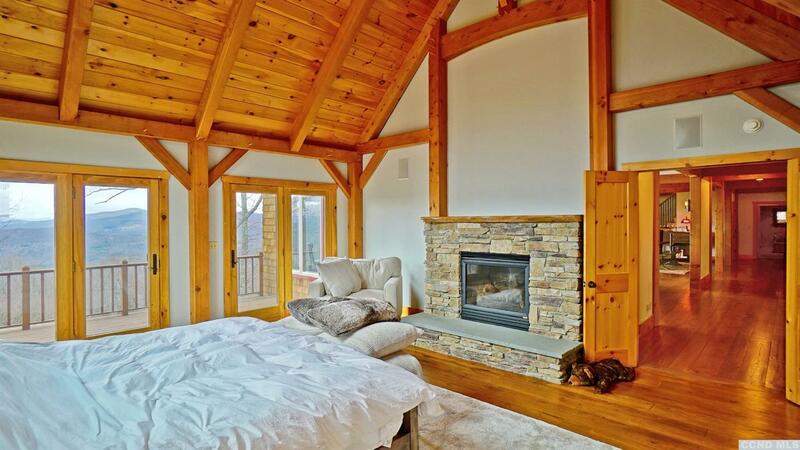 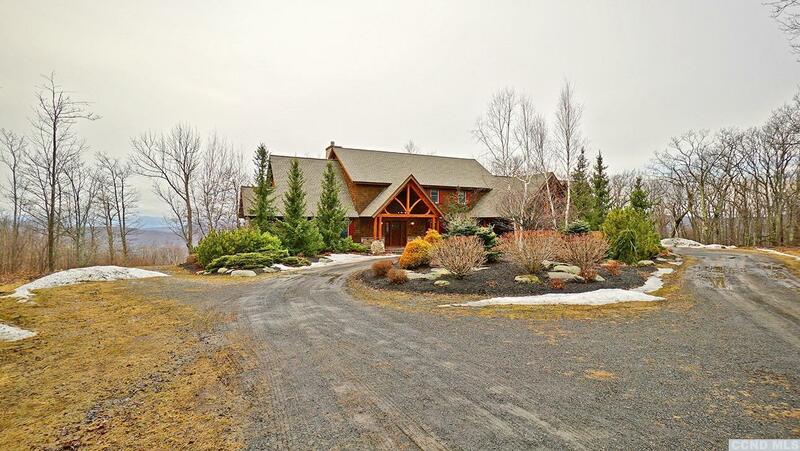 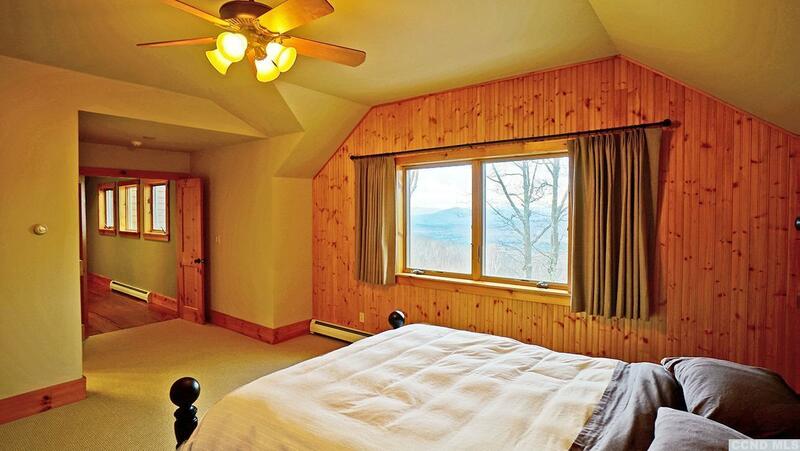 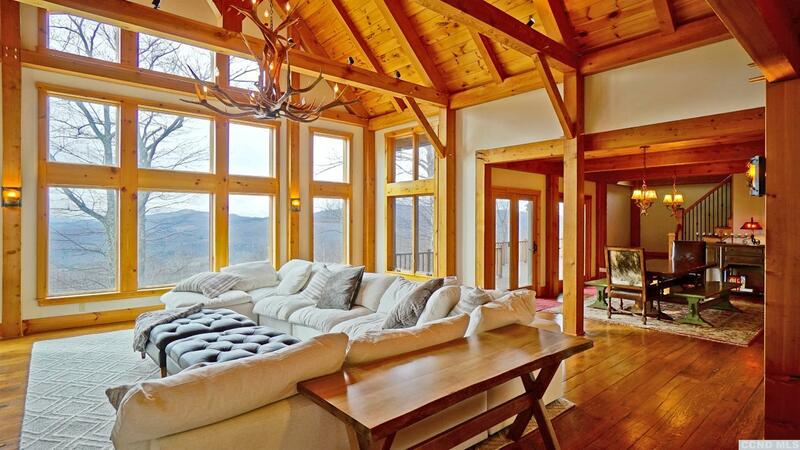 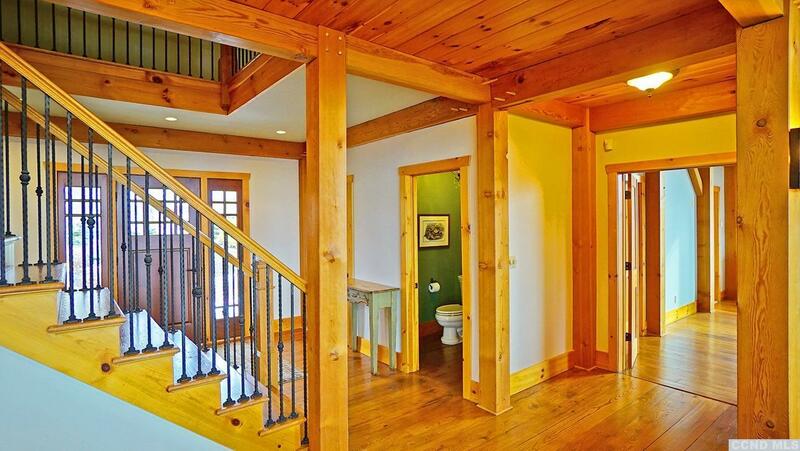 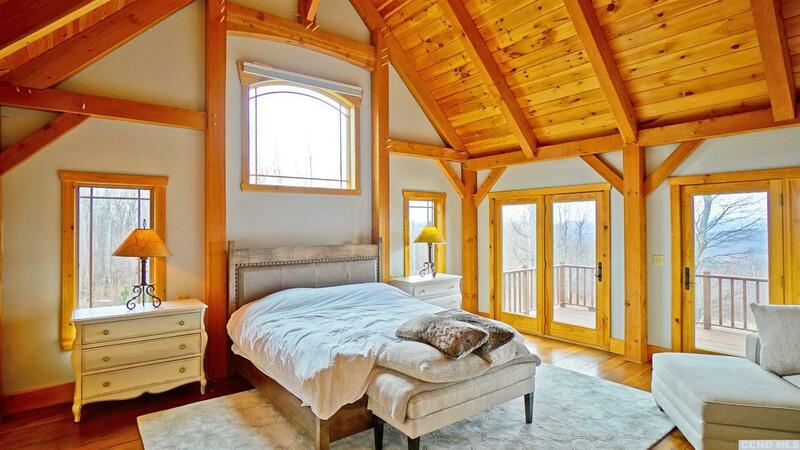 This stunning Vermont Timberframe has been constructed of Douglas Fir and it is as breathtaking as the sweeping mountain views that are seen from every room! Approach through two stone pillars and follow the circular drive to a canopied covered carport and 2 car attached garage. 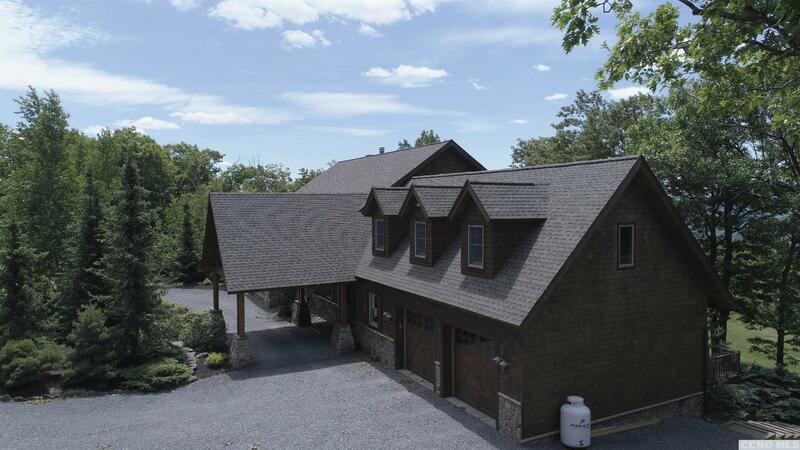 Enter through the main entrance and let the home welcome you with soaring vaulted ceilings, exposed timbers, 200 year old wideplank reclaimed flooring, and a gorgeous stone fp.The open design offers a gourmet kit, 1st fl master with fp, and access to a private deck. 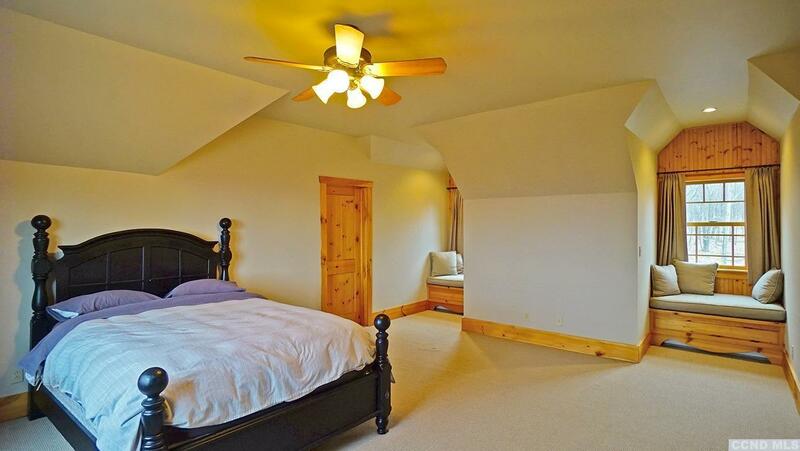 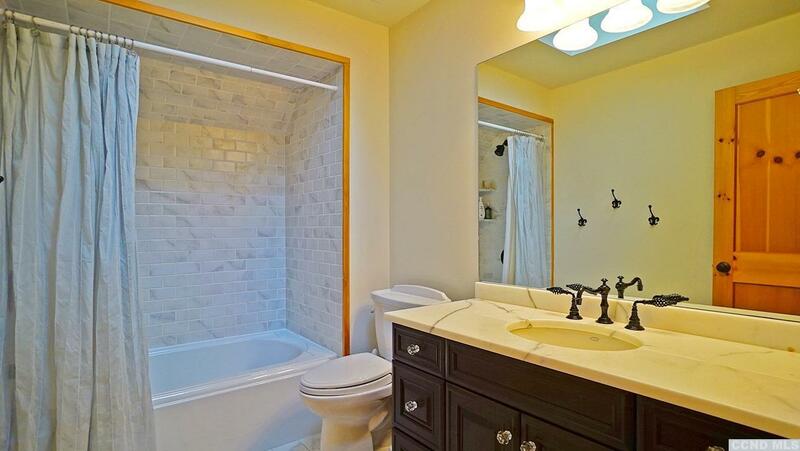 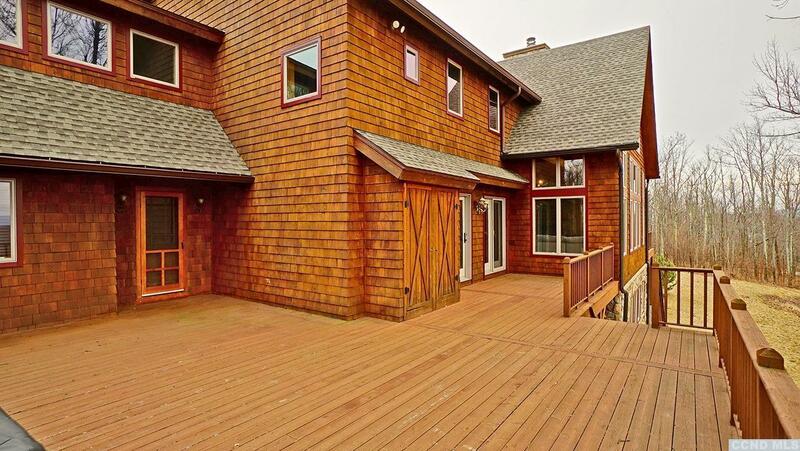 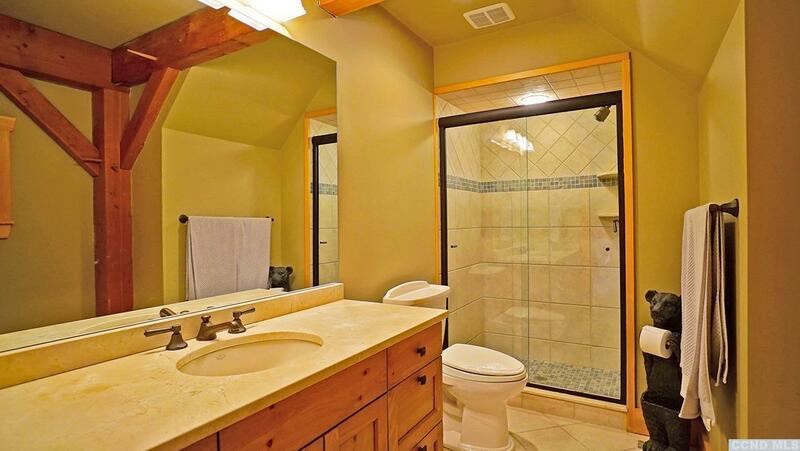 6 Bedrooms total, 3 being en-suites. 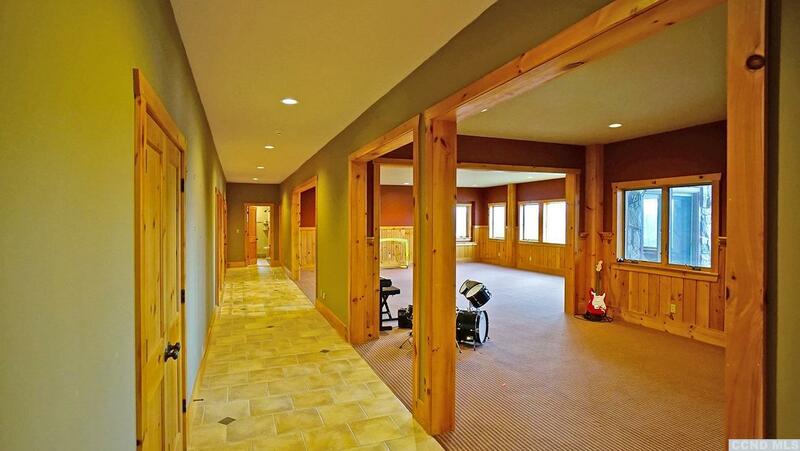 Cocktail Pantry, Media Rm, Game Rm, 2 mudrooms.